Maputo — The Mozambican government on Wednesday signed a contract with the Italian energy company, ENI, for the exclusive exploration and development rights of offshore block A5-A, in the deep waters of the Northern Zambezi Basin. Despite the reference to the Zambezi Basin, the block is nowhere near the Zambezi Delta. 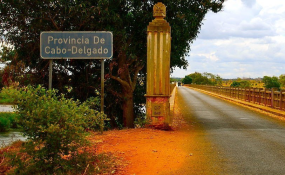 The nearest town is Angoche, in Nampula province. The block covers an area of 5,133 square kilometres, and the water is between 300 and 1,800 metres deep. There has been no previous hydrocarbon exploration in this area. The block was awarded to ENI following the fifth oil and gas licensing round, launched by the government in 2014. ENI is the operator of the block, with a participating share of 59.5 per cent, held through its local subsidiary, ENI-Mozambico. Its partners in the consortium are the South African petrochemical company Sasol, with 25.5 per cent, and Mozambique's own National Hydrocarbon company, with 15 per cent. ENI's involvement with Mozambican hydrocarbons dates back to 2006, when it acquired an interest in Offshore Area Four of the Rovuma Basin, off the coast of the northern province of Cabo Delgado. Huge fields of natural gas have been discovered in Area Four, and ENI plans to install a Floating Liquefied Natural Gas (FLNG) plant above the Coral South gas field. This plant will have a liquefaction capacity of 3.4 million tonnes a year, and production and export are expected to begin in 2022. A second contract was signed on Wednesday between the government and Sasol covering onshore block PT5-C, covering 3,000 square kilometres in the southern Mozambican province of Inhambane, where Sasol is already exploiting the Pande and Temane gas fields. Under the two contracts, the government grants the companies eight years to explore for hydrocarbons, which can be extended to 30 years in the event of commercially viable discoveries. Signing the contracts were the Minister of Mineral Resources and Energy, Max Tonela, ENI managing director Stefano Cabonara, and the Executive Vice President Upstream of Sasol, Jon Harris.